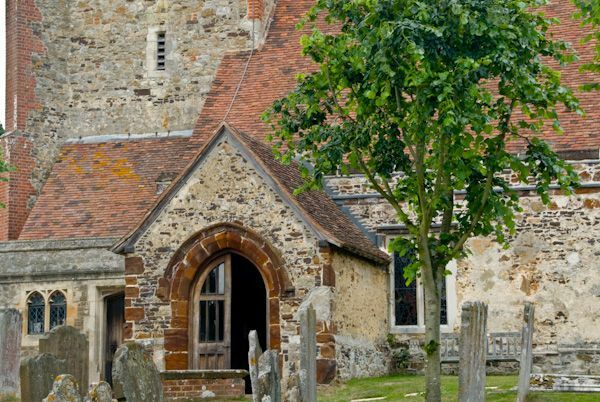 The parish church of St Peter, Ightham, is well worth a visit, primarily to see its collection of historic memorials. The oldest of these is that of Sir Thomas Cawne, the builder of Ightham Mote, who died around 1374. 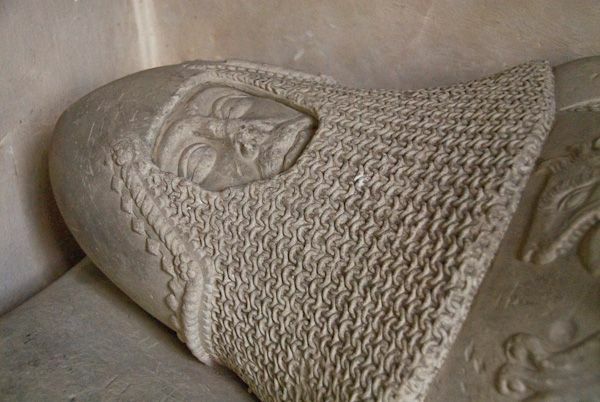 The tomb is set against the north wall of the chancel, with a life-sized stone effigy of Sir Thomas clad in a bascinet and mail armour. 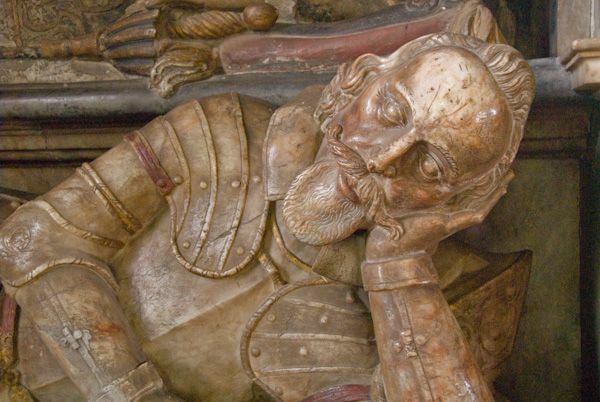 It is possible that the tomb was the work of the same craftsman who created the similar tomb of the Black Prince at Canterbury Cathedral. 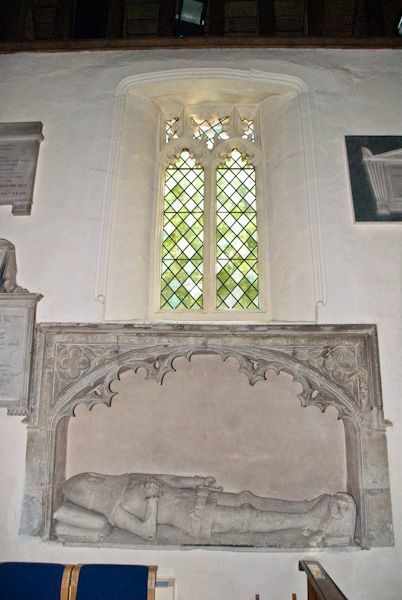 Above the Cawne tomb is the oldest window in the church, funded by a bequest in Sir Thomas's will. 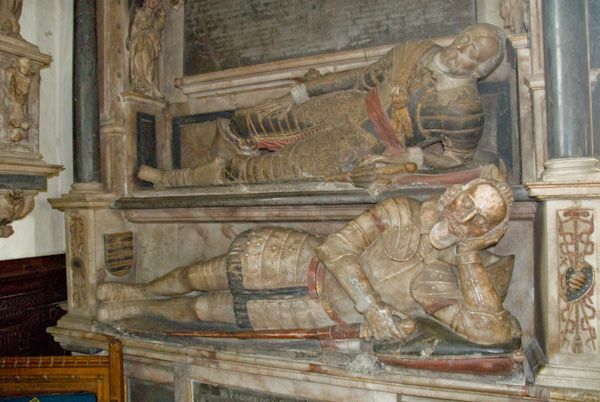 Nearby is a grandiose Jacobean monument to a pair of Sir William Selbys, uncle and nephew. 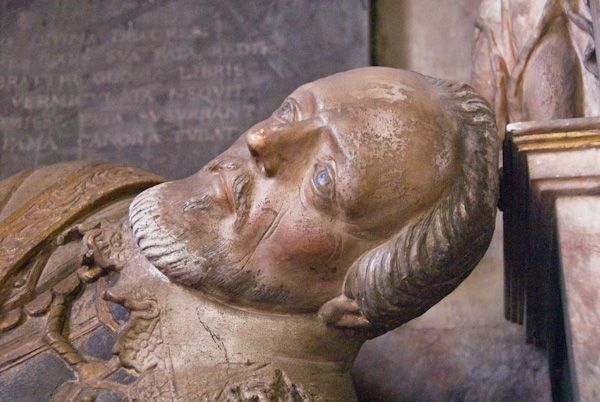 The Selbys came to Ightham from their estates in the Scottish Borders around 1590s. In Scotland, they earned a reputation as heavy-handed Lords of the Marches. 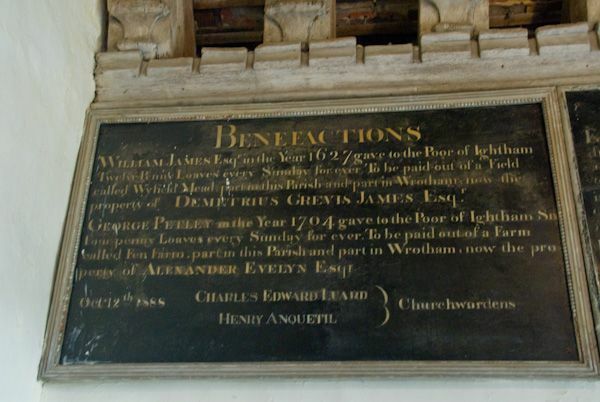 An inscription on the monument claims that the younger Sir William was responsible for exiling or executing over 1500 'wicked and desperate thieves' in the region. 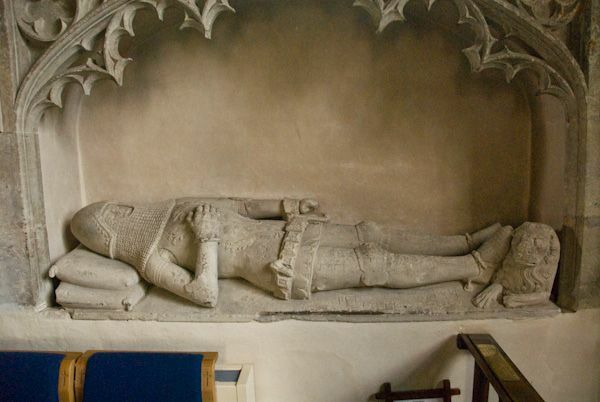 On the wall is a monument to Dame Dorothy Selby (d. 1641), wife of the younger Sir William. 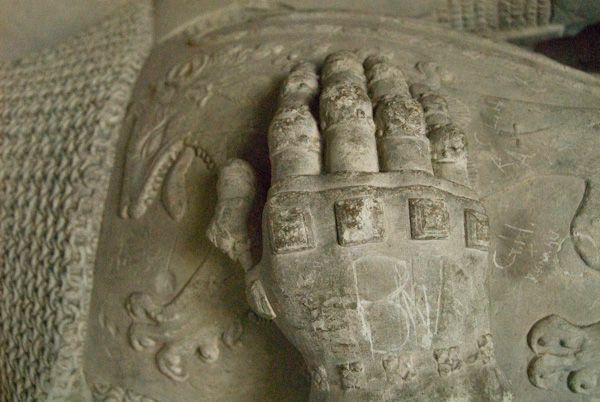 She was a noted needleworker, and two of her designs, The Gunpowder Plot and The Golden Age, are shown on her monument. Her passion for needlework was also the cause of her demise; it seems that she pricked her finger on a needle, the wound became infected, and she died as a result. The bust, and possibly the entire monument, were carved by the royal Master Mason. Also within the church is a memorial to amateur Victorian archaeologist Benjamin Harrison. Harrison was the village grocer, but more importantly, he was an avid archaeologist, and he did much to encourage the study of prehistory. His memorial tablet is set beneath an example of a flint axe. St Peter's is first mentioned in the 12th century, though it seems likely that there was a church here as early as the Saxon period. 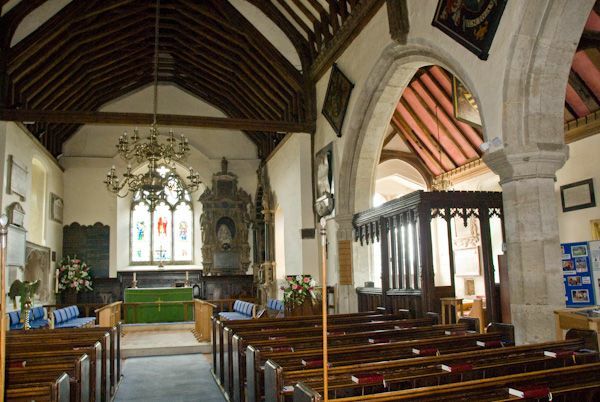 The Norman church was largely rebuilt in the 14th and 15th centuries, though Norman features survive in the chancel walls and two blocked windows in the east end. 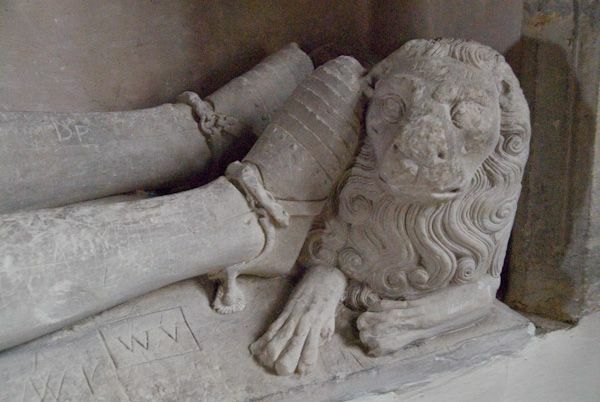 There are also nicely carved corbel heads in the south aisle. 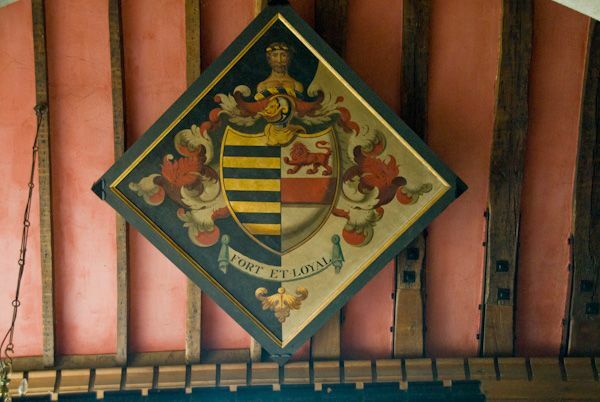 There are no less than 12 hatchments displayed in the church, making this one of the largest such displays in Kent. The brass chandelier is also worth a mention; it dates from 1574. Location: Fen Pond Road is just off the A25. Parking is along the roadside, and there is also limited parking in the village centre, a short walk away.